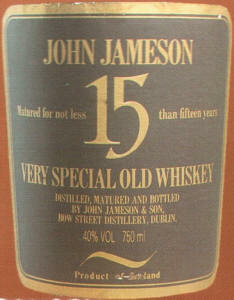 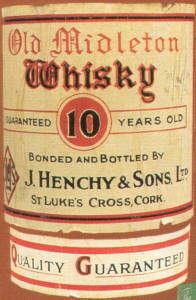 "This Irish Whisky is thoroughly pure, specially selected and bottled at our distillery." 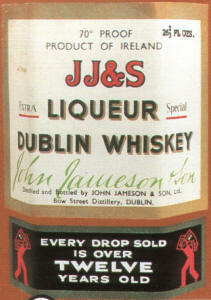 "This label should be destroyed as soon as the bottle is emptied, to prevent its fraudulent use afterwards." 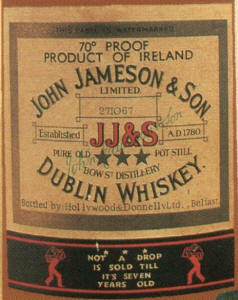 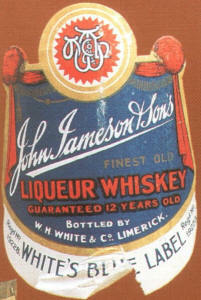 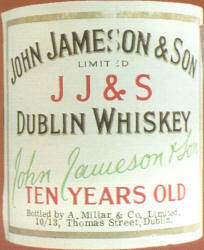 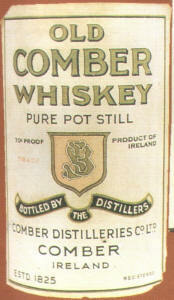 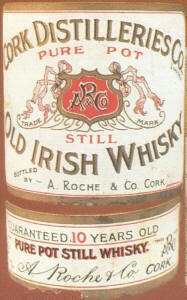 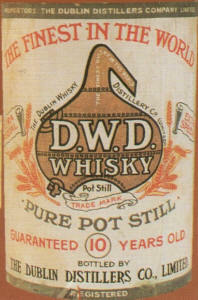 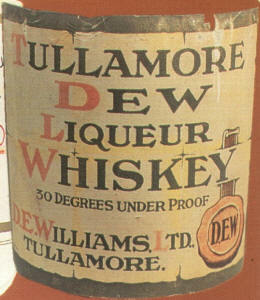 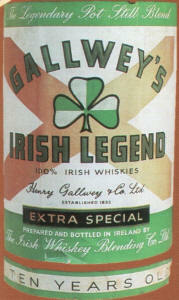 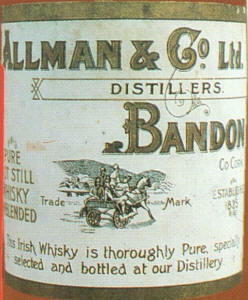 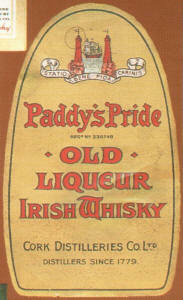 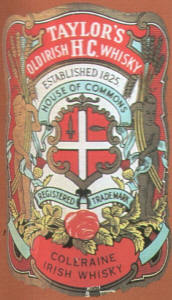 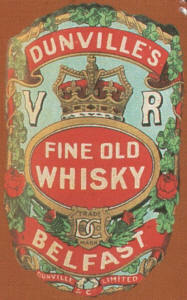 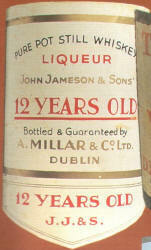 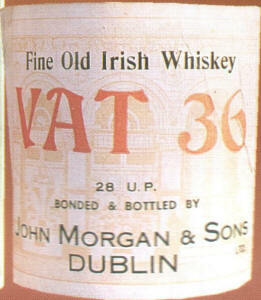 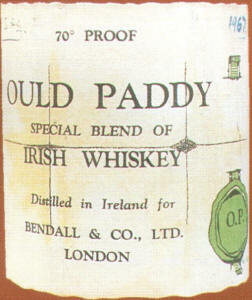 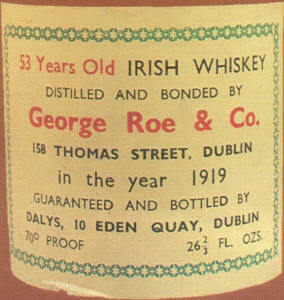 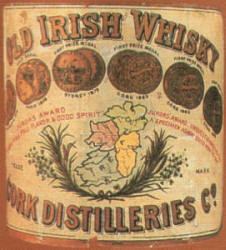 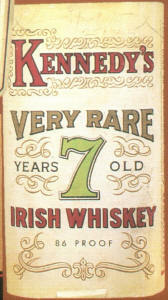 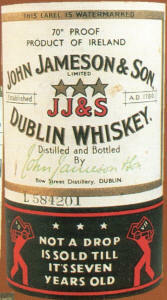 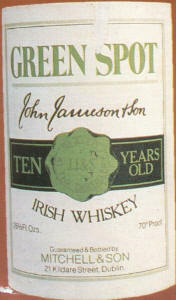 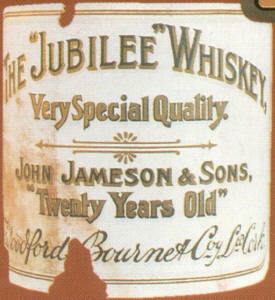 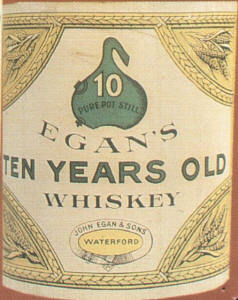 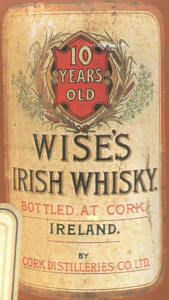 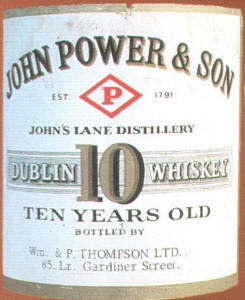 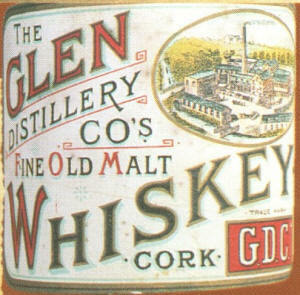 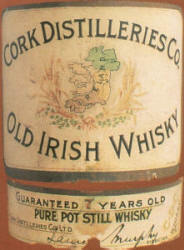 The Dublin Whisky Distillery Co., Ltd.
Bottled by The Dublin Distillers Co., Ltd.
Henry Gallway & Co., Ltd.
Bottled by The Irish Whiskey Blending Co., Ltd.
"Not a drop is sold till it's seven years old"
"Every drop sold is over twelve years old"
"Matured for not less than fifteen years"
Bottled by J.&J. 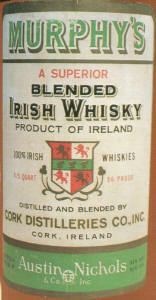 McConnell, Ltd. 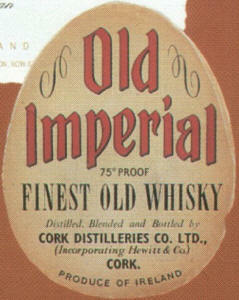 Imported by Austin Nichols & Co., Inc.